Reference: This note is influenced by Father Grou’s essay, “Martha and Mary,” in his famous Manual for Interior Souls. It is Father Grou who says “concentrate your soul on God” and “listen attentively.” The quote at the top of this note is a song from the singer, Dion, who had a tremendous conversion back to his Catholic faith. The book by Saint Alphonsus, A Short Treatise on Prayer, is highly valuable and should be read. The phrase, “petty, peripheral things,” was used by Dietrich Von Hildebrand. 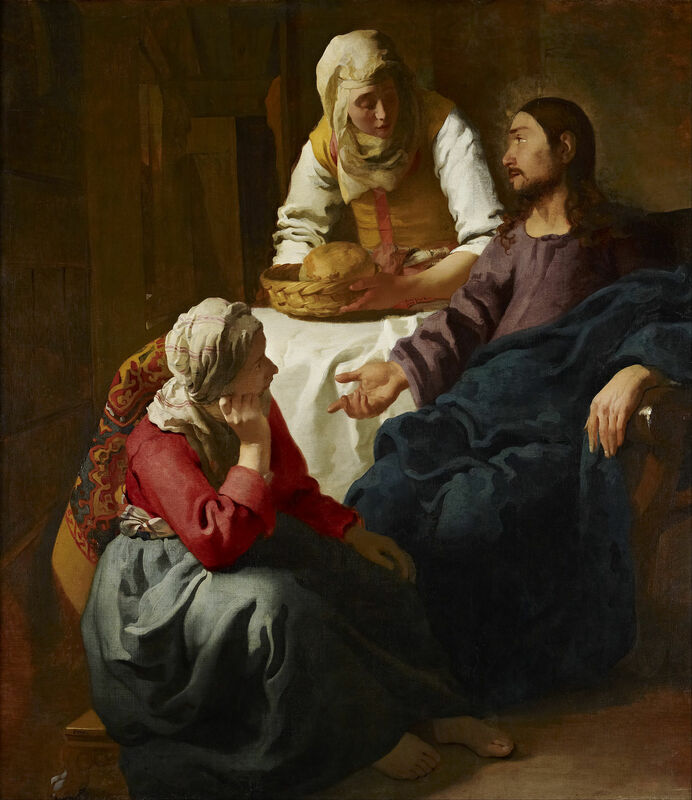 Image: Christ in the House of Martha and Mary by Johannes Vermeer, 1656, Public Domain, U.S.A.